Being gorgeous is such thirsty work. 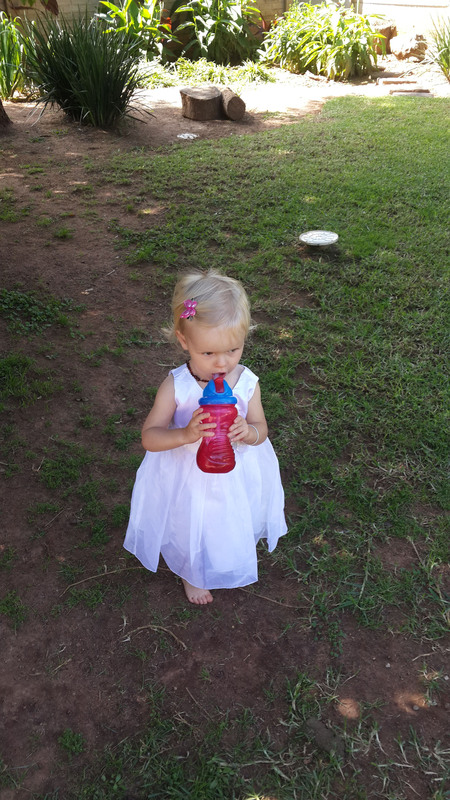 A few weekends ago we had a family gathering where we held a blessing ceremony for our amazing toddler, Holly. We wanted to have a ceremony where her family could get together and we could acknowledge how important she is to us and how much we all love her. And, because, neither of us is religious, we decided against a traditional Christian ceremony. Instead we created our own. And it was so much fun! We’re brought up to believe there’s a right and wrong way to do everything and, while that is true in some cases, in others the wrong way may be the right way. Get it? And I’m all for going against the grain and trying new things. 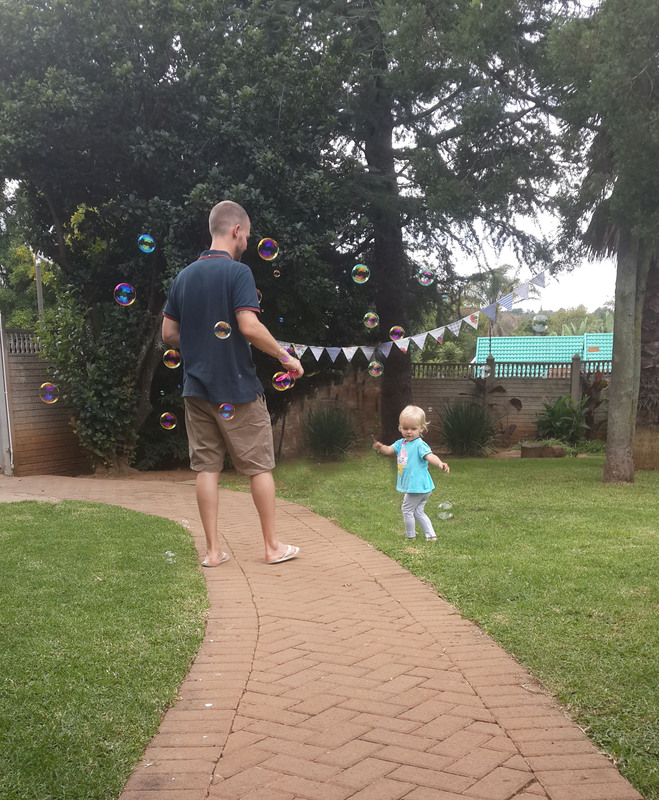 Not only did we not want a traditional ceremony for our toddler celebration, we also had to create a party on a tight budget. So we were super creative with our food and decor too. We asked Holly’s grandparents to write and read a blessing to her as the elders of the family. They could write whatever they chose. And they did! My father, who goes to a Catholic church rather often, read a beautiful Buddhist-inspired blessing for a grandchild that made me cry. My mother, who’s always been quite religious and believes strongly in upholding religious traditions, read a lovely Christian-influenced blessing. And my mother-in-law read a blessing right from her heart to her granddaughter. Because Holly’s paternal grandfather and step grandfather are no longer with us, we had them join us by putting up their pictures so they’d be part of the day. My brother and sister-in-law travelled from Durban to be a part of the occasion, despite the fact that they have two little girls both under the age of five years – one of whom had a broken leg! Bianca and I made the food – simple but tasty vegetarian finger food that included homemade hummus with lots of fresh veggies, puff pastry foccaccio with Balsamic roasted tomatoes, and little baked fruit and cinnamon puff pastry pies. And my very special friend Kirsty, who is so talented, made Holly a perfectly beautiful cake to celebrate her perfectly beautiful day. She also made all the decorations – gorgeous bunting that we hung all around the garden. 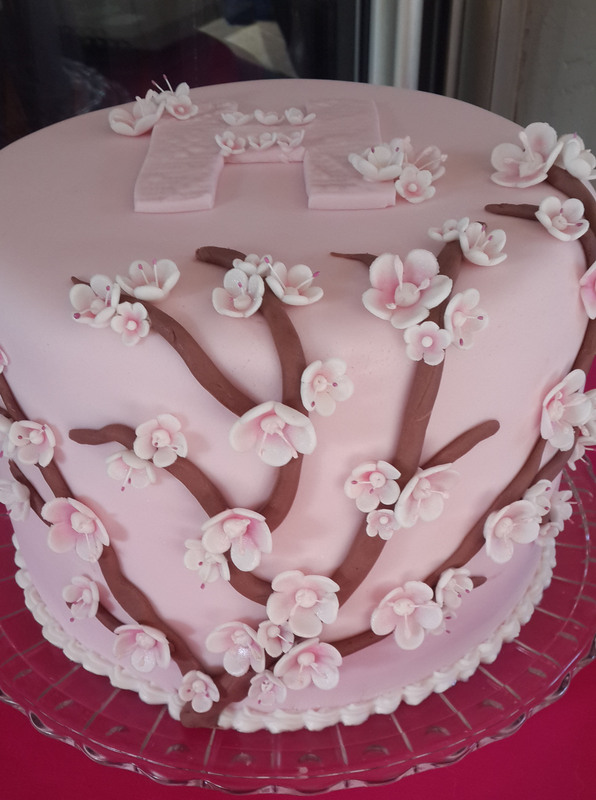 The most beautiful and tastiest cake in the world. It was such a special day filled with amazing people who mean so much to us. And, even though we thwarted tradition and went our own way, the ceremony was exactly as we wanted it. 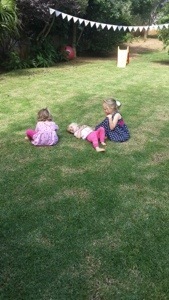 Cousins chilling on the lawn. This entry was posted in Banter and tagged blessing ceremony, blessing for a grandchild, Buddhist-inspired blessing for a grandchild, create a party on a tight budget, family gathering, tasty vegetarian finger food, tight budget, toddler, toddler celebration, traditional Christian ceremony on April 16, 2014 by simonewb.